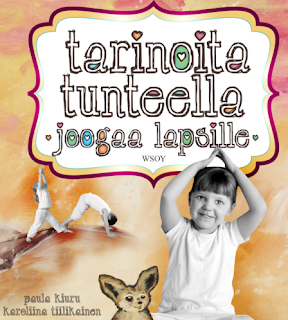 An example of Nymphont font's in use, this yoga book for children featuring LT Chickenhawk is to be published in Finland. Super cute, I love it! The font shown in this example is my LT Chickenhawk, and is available at Dafont, free for personal use. View & Download LT Chickenhawk. If you have made something you would like to share using one of "Nymphont's Fonts," I would be happy to post them, just email me, nymphont at yahoo dot com, the images and any details, thanks! IS this book available online too buy? if available where can I find this? how much cost.